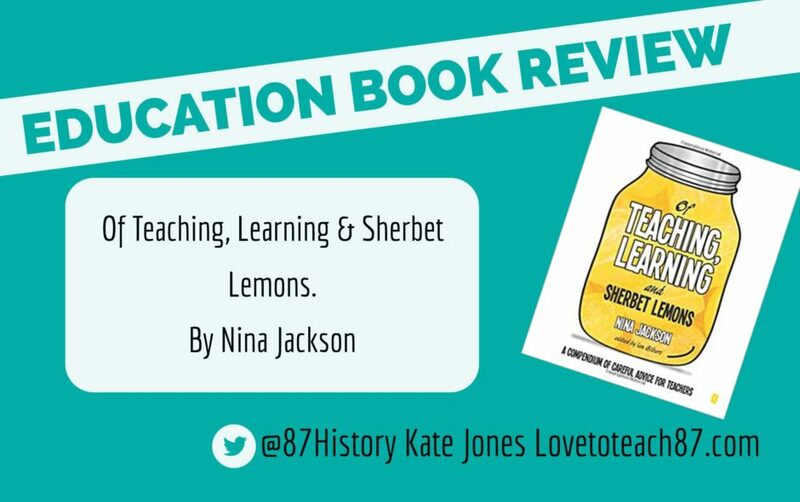 You could be forgiven for being confused about the title and the sherbet lemons! 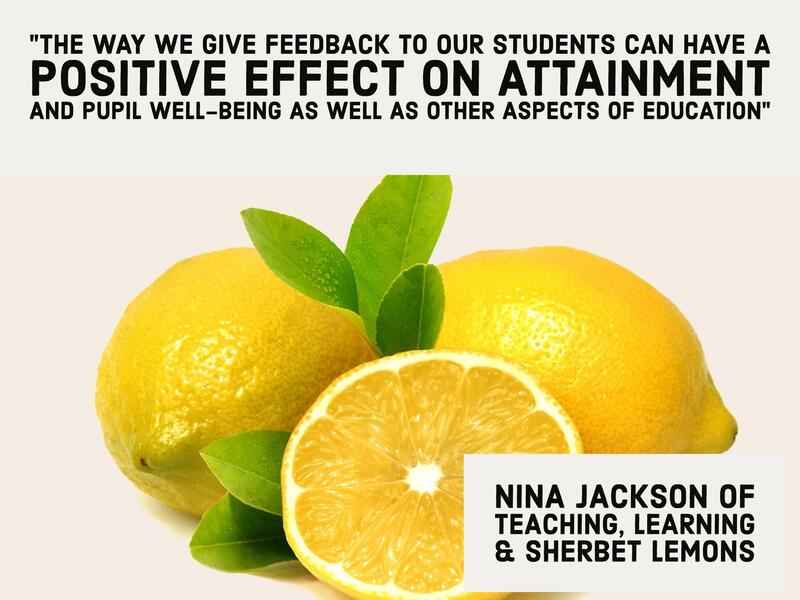 As well as Nina’s self-confessed personal fondness for the sweet it also refers to the fizz, fun and excitement that comes with teaching. 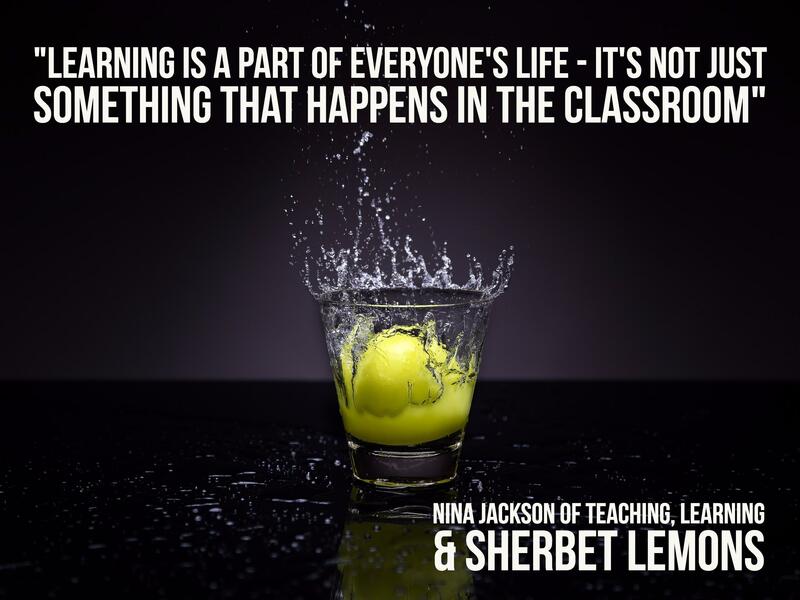 At times all teachers, myself included, can feel that fizz has fizzled out and this book aims to bring back the fizz and sparkle into our teaching as well as providing lots of words of wisdom along the way. 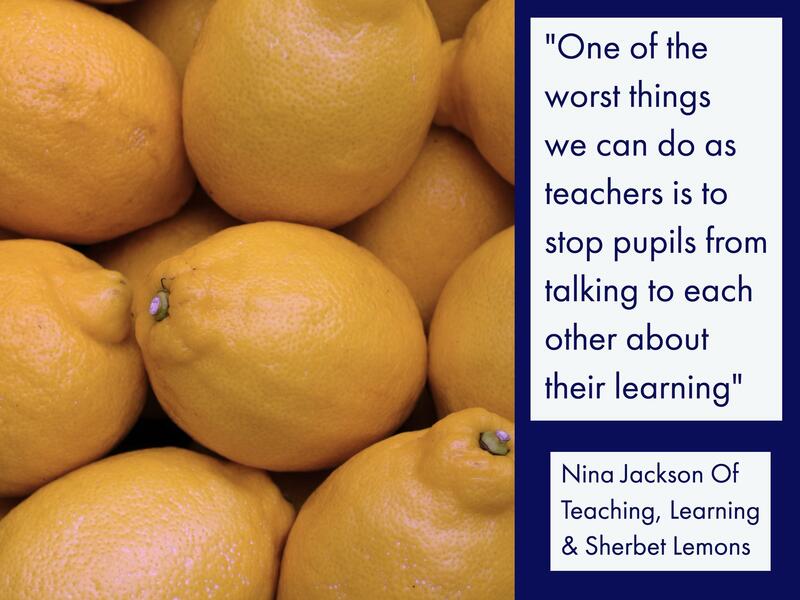 Nina Jackson is a former teacher and is now an education consultant working with schools, teachers and pupils. 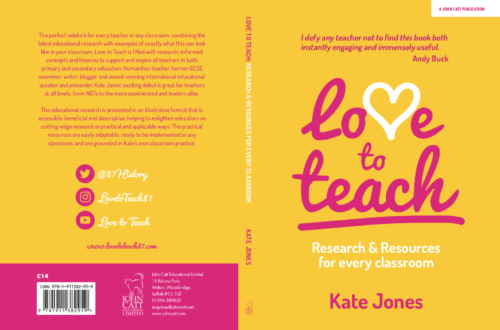 It is through her years of experience in the classroom and supporting so many educators that has enabled her to write this book providing ‘a compendium of careful advice for teachers’. Nina can be viewed as the educational agony aunt with solutions and advice for a range of questions and problems posed and that is the layout of this book. 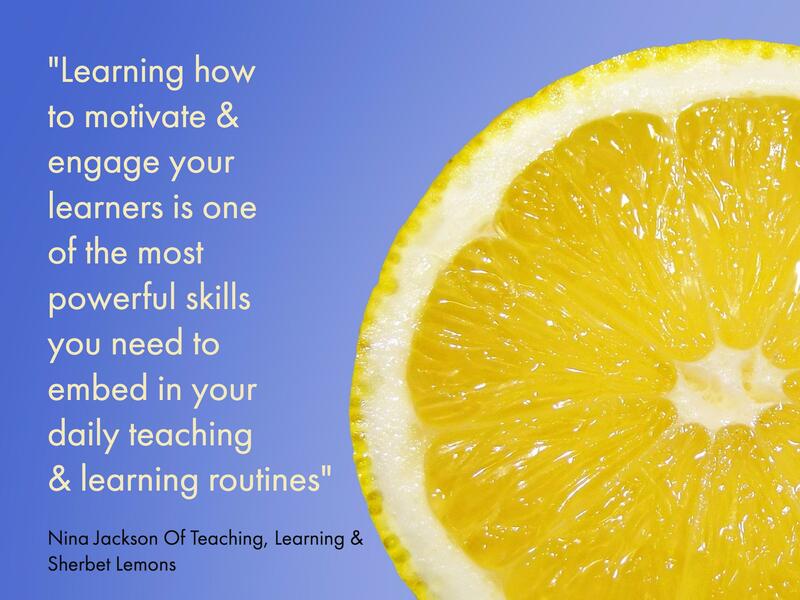 Each section opens with a question connected to teaching, from anonymous teachers ranging from NQTs to leaders and Nina offers her knowledge, expertise, experiences and advice. There is a lot to like about this book. I have read many educational books and this book is easy to read, yet still explained thoroughly and supported with research and evidence throughout. I have never read a book about education that covers such a wide range of topics. Another reason I enjoyed reading this book is because Nina Jackson’s personality, character, warmth and humour shines through. I have met Nina before and heard her deliver a keynote so when reading this book I could often hear her strong Welsh accent in my head! The passion, empathy and understanding that Nina has really does show in this book. It’s clear she was a very caring teacher and her years of experience makes her advice reliable and sensible. 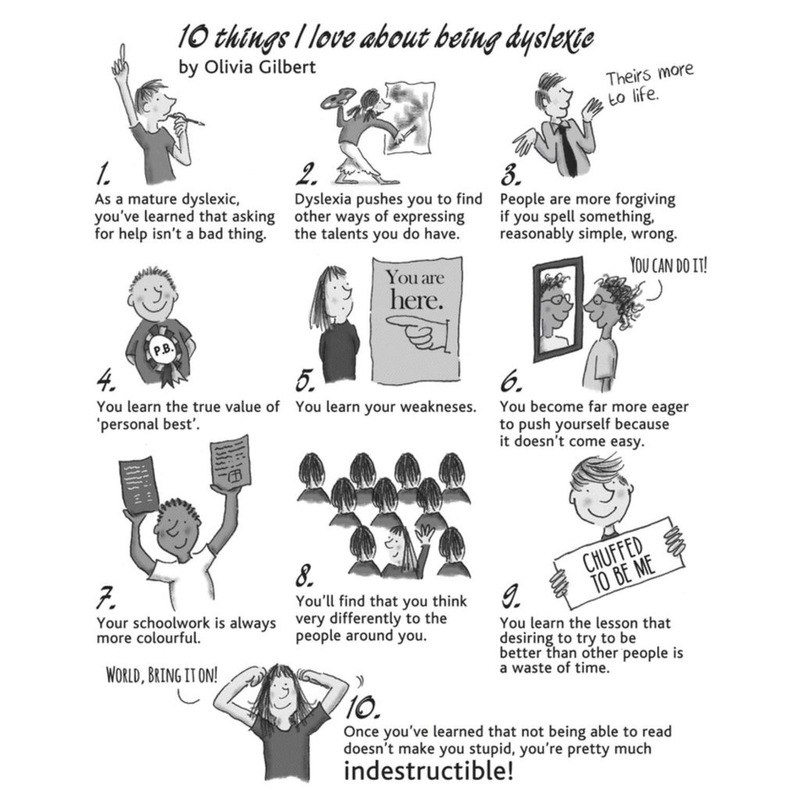 I admire how this book tackles several difficult and sensitive questions – as mentioned, there were topics explored in this book that were refreshing to read for example; one teacher asks Nina how to deal with her line manager who she thinks does not like her! Other examples include dealing with the death of a parent; which sadly a lot of teachers will experience in their career but we often aren’t trained or instructed how to deal with such sad circumstances. 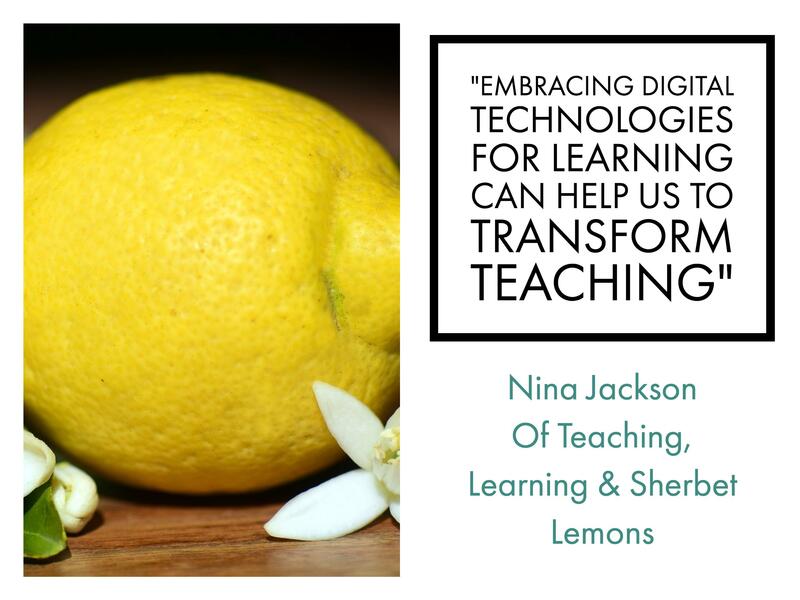 So many of the questions posed to Nina, that she addresses are common issues that teachers can face in their career but often aren’t discussed. Personally, I learnt so much from this book about SEND or learning differences as Nina refers to them. I have of course had training in regards to Special Educational Needs, or Additional Learning Needs as referred to in Wales, but it is an area of my teaching where I lack confidence and could be more knowledgeable. During my ITT year I was completely overwhelmed with all the information about SEN and all the different abbreviations. Learning differences is clearly and area of expertise for Nina. There is advice for dealing with a child with selective mutism, which I have encountered, dyslexia, dyspraxia, dysgraphia, ADD and ADHD are all very clearly explained. The possible symptoms are explained clearly in bullet point form. Of course all pupils are different and that is very clearly emphasised, with symptoms at different ages and stages explained from EYFS to Secondary; this was really insightful and useful. 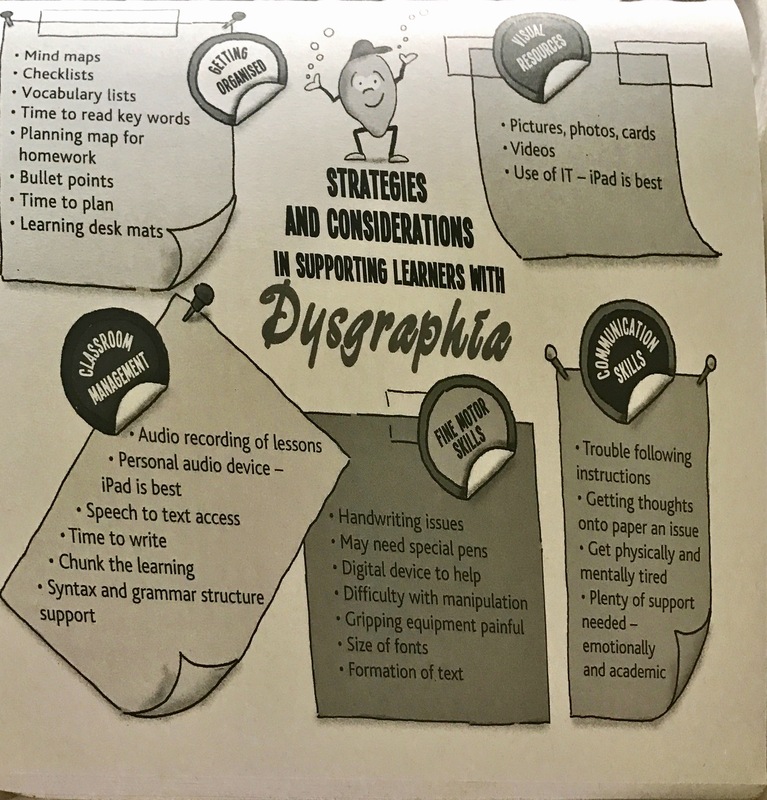 As well as the symptoms and description there are also several different strategies to use to support pupils with these learning differences. I will certainly be putting this advice into practice and will refer to these sections in the future when working with my pupils. Nina also tackles taboo subjects such as self harming and mental health. Throughout the book Nina shares ‘well-researched and supportive websites’ for further information, guidance and support. As well as relevant websites Nina also recommends books for further reading and several Twitter accounts to follow such as @YoungMindsUK @MentalHealth_Ed and @MindFullUK. I really do feel that my understanding of these issues has improved as a result of reading this book. The illustrations and diagrams throughout the book are fantastic, as shown below. They are by Paul Wrangles also known as @SparkyTeaching. They can easily be photocopied and put on display or again a good point of reference to refer back to. This book isn’t just about SEND or mental health as the book offers guidance in regards to engaging and motivating learners, embracing digital technologies in the classroom, professional development, transition from teacher to leader and much more! The author asks the reader several questions to make us think, reflect or even just smile. Nina gives the reader a lot to think about then has a section to encourage the reader to try out her suggested ideas and strategies. This book also addresses subjects that can be viewed as controversial such as behaviour, learning spaces, group-work, learning styles and even listening to music in the lesson! This book would be ideal for NQTs and RQTs as it will provide them with a wealth of knowledge and ideas to embed into their teaching as well as encouraging teachers to be reflective practitioners, which is so important. I have been teaching since 2010 and I found this book to be very interesting and useful at my current stage in my career. Nina shares her experiences of action research and completing her Masters in Education which was of interest to me and there were certain sections of particular interest to me such as the Digital Leaders guidance as I am responsible for Digital Leaders in my school. There were other sections of the book that I would recommend to my colleagues knowing their areas of interest or areas for development. My partner recommended this book to me as he also found it very enjoyable and helpful. 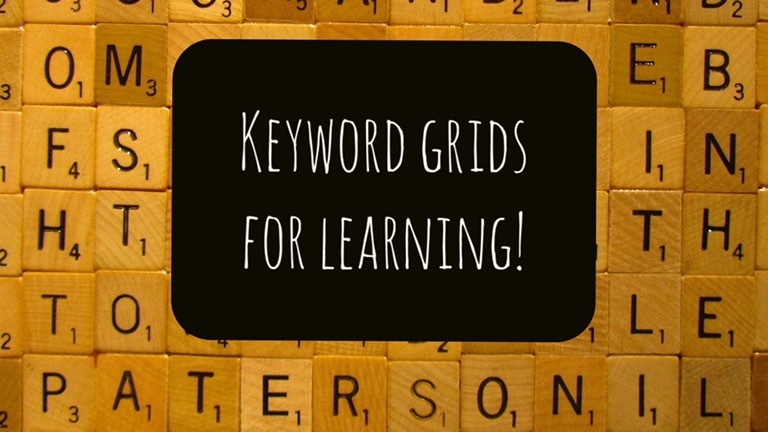 He describes this book as being similar to a TeachMeet event – full of great ideas, not all relevant for you at this point in time but many of them will be and there is something for everyone! At times the book does seem quite random as it switches from pushy parents to dealing to pupils that want hugs, but this book is all encompassing and in our daily teaching lives we deal with completely different people and different issues, everyday is different in our job! I would like Nina Jackson to write a book dedicated to SEND/Learning differences, wellbeing and mental health as she is so knowledgeable about this and explains everything clearly. I know Nina is very busy and in-demand with schools across the country. However, Nina does state throughout her book that if you have any further questions or feedback you can contact her directly via her Twitter @musicmind or through her website TeachLearnCreate.com. 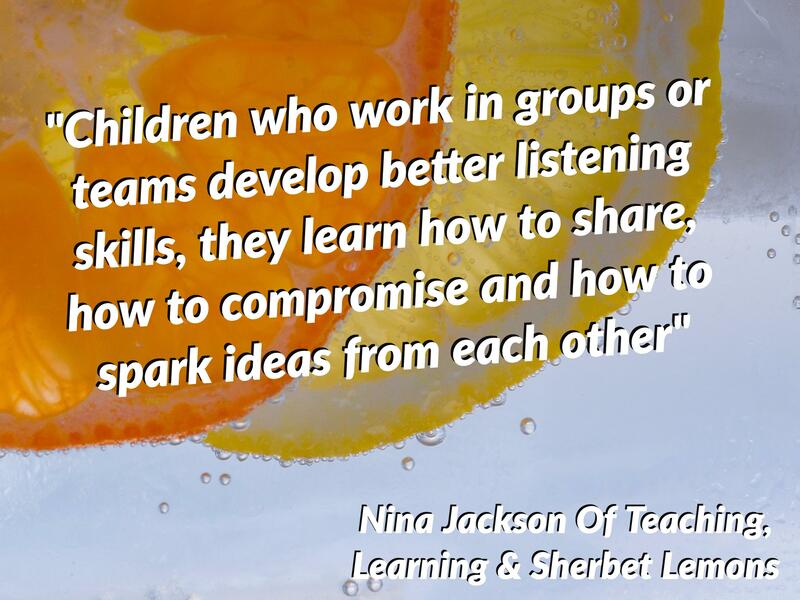 You can purchase Of Teaching, learning and Sherbet Lemons here. Thank you for taking the time to read my review. If you have any educational books you would recommend or like me to review then please do get in touch. You can get in touch via my contact page or send me a message on Twitter. Next post Speech & thought bubbles …the best app for that!